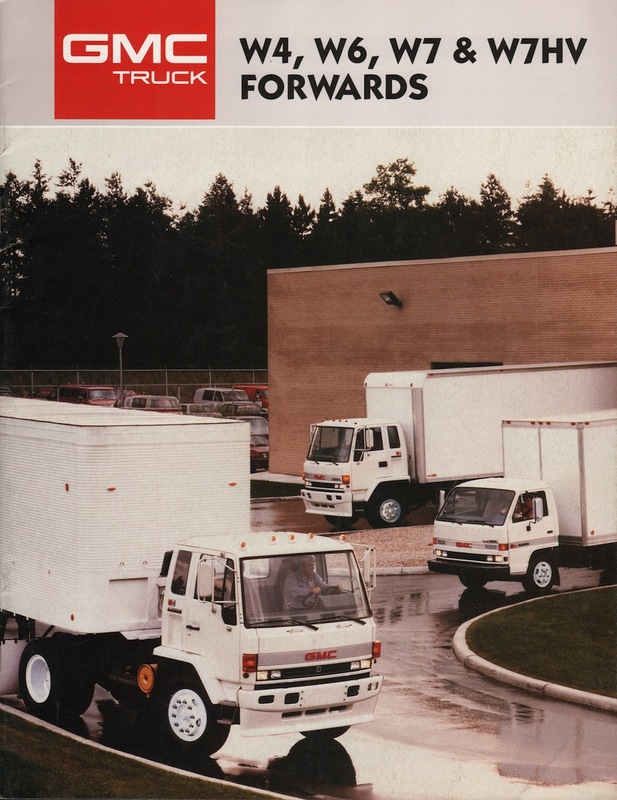 Sales brochure for the 1985 GMC W4, W6, W7, and W7HV Forwards Truck. The W4 is rated at 13,250 pounds; the W6 which is new for 1987 at 22,000 pounds; the W7 up to 29,700 pounds; and the W7HV at 33,000 pounds. They can be used with a van body, stake body, platform body, refuse (garbage truck) body, van trailer, milk trailer, refrigerated van body, Cowl school bus, forward control chassis bus, and P-model chassis.